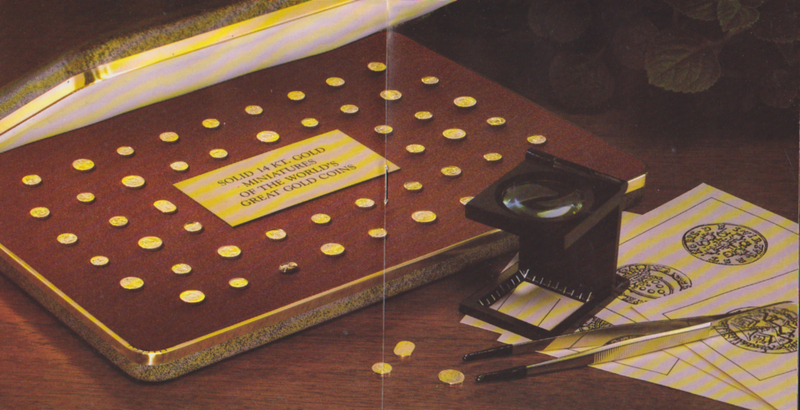 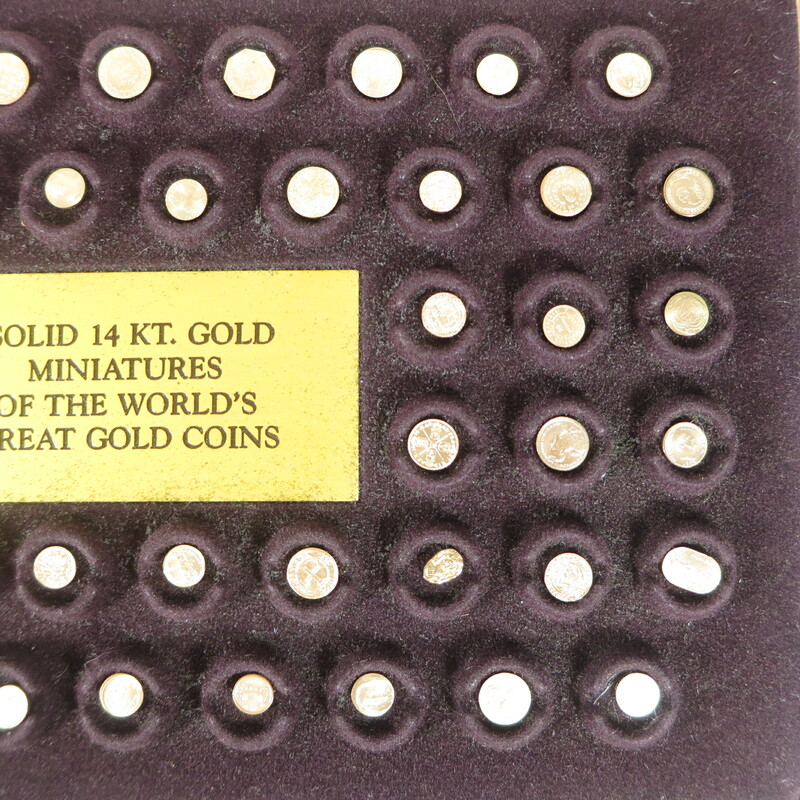 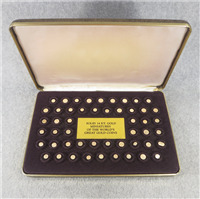 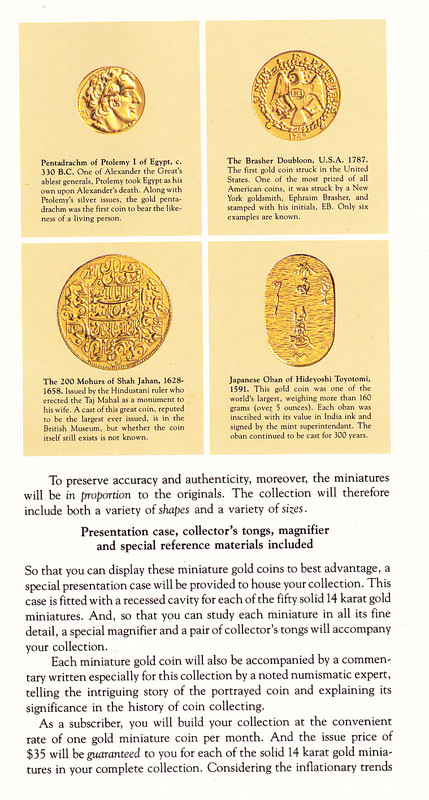 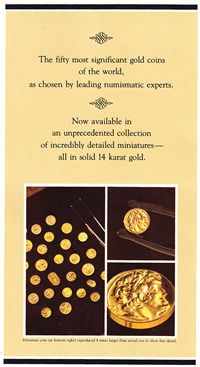 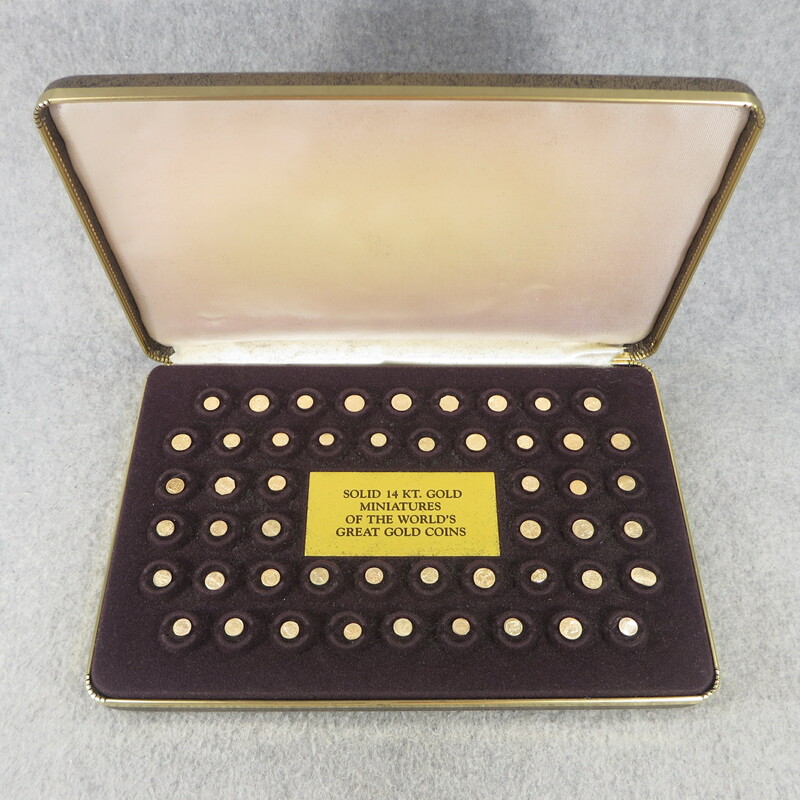 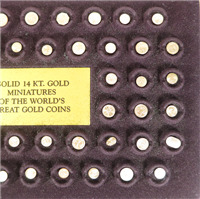 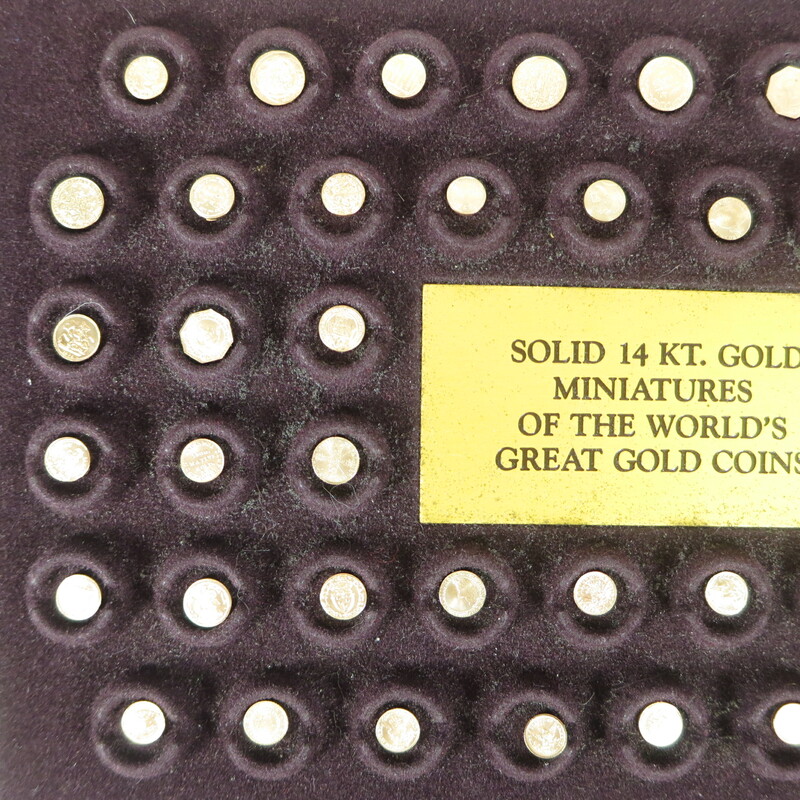 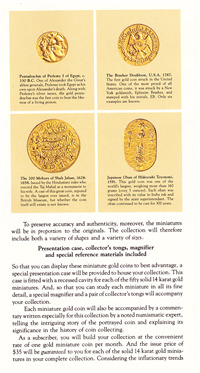 The World's Greatest Gold Coins in 14KT Gold (Franklin Mint, 1981) Current Market Value. 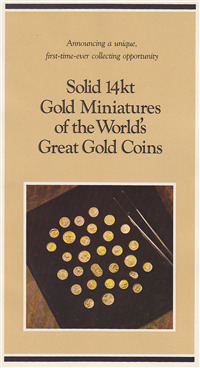 50 mini-coins in a complete set. 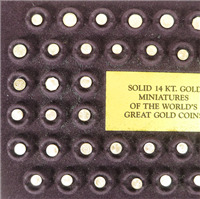 These are solid gold 14K miniatures.